Giveaway ends August 21, 2012. FIVE COPIES TO BE WON! I’ve had lovely visits today from Tansy & Finchy and the girls, followed up by Mr Flinthart, all of which leads to a more energetic, enthused me! Creative conversations with awesome friends for the win! So I managed to get a few more FableCroft jobs done this evening. Job 1: An Aurealis Awards special on After the Rain, to celebrate Thoraiya Dyer’s shortlisting for her story “Fruit of the Pipal Tree”. Just $15 including postage! 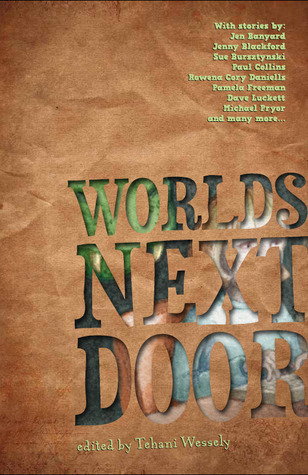 Job 2: A class set special price on Worlds Next Door – 50% off or MORE for purchases of 25, 30 or 35 copies!